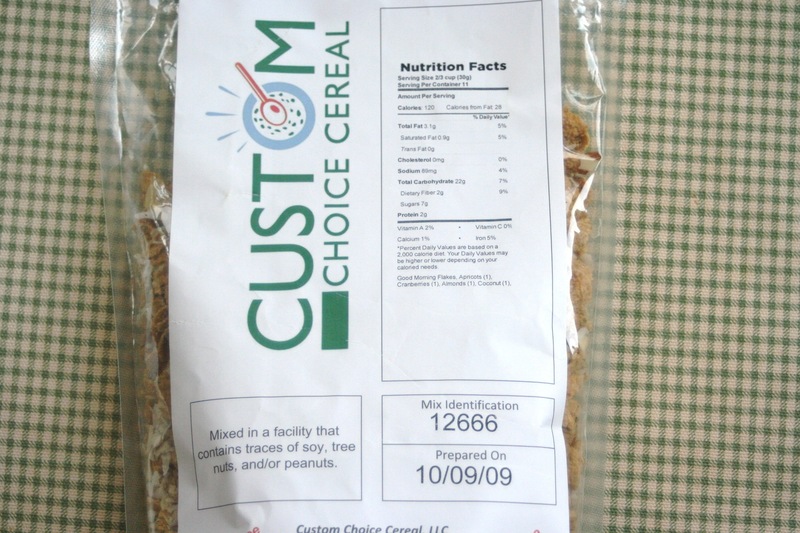 Last week I had the pleasure of reviewing a brand new gluten-free product, Custom Choice Cereal. 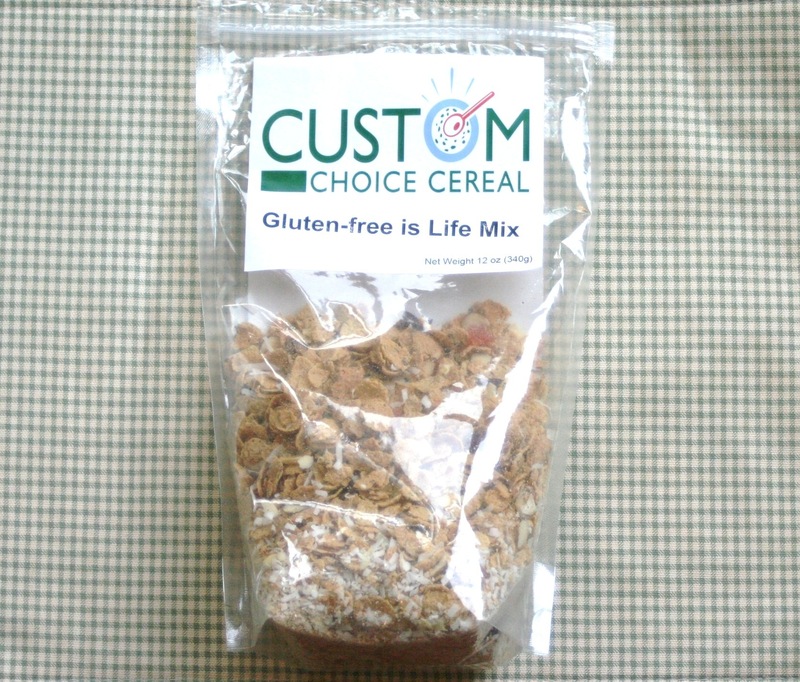 Custom Choice Cereal is a gluten-free cereal mix that you create that is then mixed in a dedicated facility to avoid cross-contamination. Does it get any better than that? I was able to select my cereal mix from a nice variety of choices. First, you select a base from 3 different choices. After selecting a base, you add your favorite dried fruits. Then you can add nuts or seeds and finally, you can name your mix. The whole process from start to finish could not be easier. I selected Good Morning Flakes as my base. 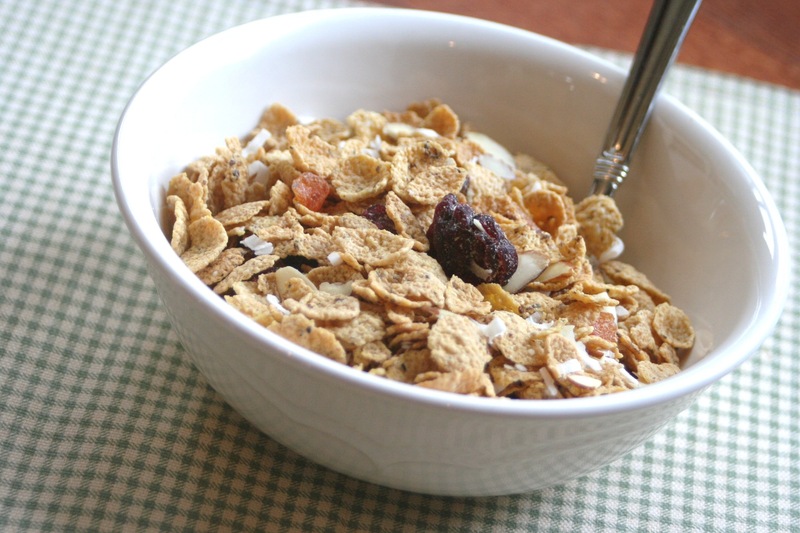 Good Morning Flakes are made up of Organic corn flakes enriched with flax, buckwheat, quinoa & amaranth. I chose apricots & cranberries for my dried fruit & almond & coconut for my nuts and/or seeds. You can click this picture to enlarge it. I was pleasantly surprised to see how much dried fruit & nuts my mix contained. What a great combination of flavors. I love to mix things into my cereal and rarely just eat 1 cereal plain, so this is right up my alley. Another wonderful gluten-free option out on the market. Prices vary based on the mix you create. Check out my latest Examiner articles. Roasted Fall Vegetables and Gluten-Free Dining at P.F. Chang’s. Hope you all have a great Saturday! Go BUCKEYES!